Published on 13 October 2012. 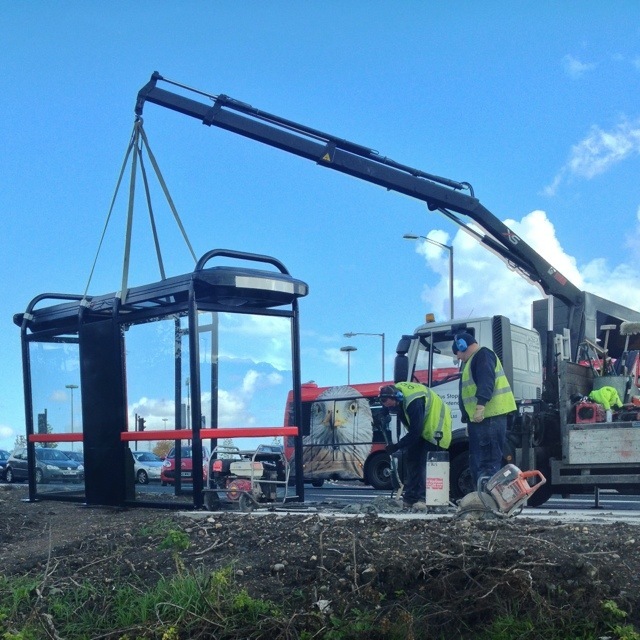 Here’s something you don’t see everyday: a bus stop being delivered and installed! Even the giant red kite in the background looks a little surprised at the sight! This 1,848th post was filed under: Photo-a-day 2012, Gateshead.